Tobacco Road, Indian Reservation, Then You Can Tell Me Goodbye, Ebony Eyes, Talk Back Trembling Lips, Waterloo, Norman....those are just a few of the hits written by the late John D. Loudermilk. On March 24, 2016, a host of artists came together at the Franklin Theater in Franklin, TN for an evening of music by the classic singer & songwriter including Rosanne Cash, Emmylou Harris, Rodney Crowell, Beth Nielsen Chapman, Doyle Lawson and many more. 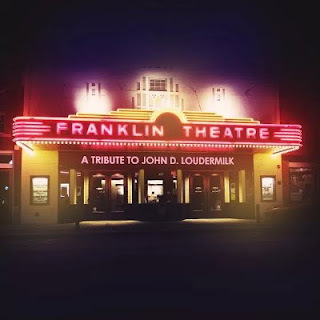 That night will be chronicled on the album A Tribute to John D. Loudermilk which will be released on September 15 including 24 performances from the evening. An edited version is also being produced for showing on PBS. Loudermilk, who died on September 21, 2016 at the age of 82, was on hand for the show even though he was in frail condition. A Tribute to John D. Loudermilk was produced by John Jorgenson, who was also the music director for the evening, along with Dixie Gamble. What a legacy. It's nice that John's son performed at this concert, but it would also have been nice if Nashville mainstay George Hamilton V could have sung a JDL tune, since his father made "Abilene" (as well as "A Rose and a Baby Ruth" famous.